Conservatives Need be More Understanding, Really? Bear with us as we cover a delicate subject of the feelings of rage from our leftist adversaries, or shall we be kind and refer to them as our friendly rivals on the political battlefield. (If liberal-leftist-speak, as Orwell might have referred to it, bothers you then please take advice and skip until after a familiar picture below.) Liberals, those conservatives attempt to malign by calling them leftists or liberal extremists, are simply more in touch with their feelings than are those stuffy and self-critical conservative cold-hearted elitists. These conservatives stand aloof in their steel and glass towers demanding that police go forth and do what they are too afraid to do, stand before liberals and defend their man, the clown in the White House. They know their chosen leader is nothing but a loud mouthed, brash, ignorant, uneducated lout and a bully whose chosen weapon is obscene tweets. All they are capable of doing is claiming they were just as upset four years ago but were too busy making money and suppressing their emotions to be capable of any noticeable reactions. They admit all they were capable of was calling for their tools, the Republicans in Congress, to obstruct, obstruct, obstruct. Now they are crying in their cold potato soup, Vichyssoise they call it. Then they follow this up with salted and spiced snails, Escargot they call it, and finally the entrée of raw ground beef with a nice raw egg dropped in the middle, Steak Tartare they call it, and their belief and trust in the man they bought into the White House is just as fake as their names for what most would call inedible foods. They claim they cannot understand the people demonstrating the fact they stole an election using the tricks of bending the rules in their favor while they know that factually Hillary won the popular vote and in any real democracy, not this farm ridden excuse where they use rubes to elect their excuse for a man, she would be sitting properly in the White House and the United States would not be the laughing stock of the world across Europe. Perhaps we need to spell out the reasons behind what they are witnessing and the why’s and wherefores’ of what is being called the Resistance and what they are labeling the hyper-political rejectionism being committed by Democrats in Congress. First let’s talk about the political reaction in Congress, which is no different than the refusals of the Republicans to cooperate with President Obama for eight years. Despite what they point to of the Republicans working to assist with the budget proposals which kept the government operating, they cannot deny that many of the most innovative and important pieces of legislation passed without either a single Republican vote or a mere smattering of Republicans willing to do the people’s work. They invented obstructionism during the Obama Presidency where they never did accept that a minority person of color was in the White House. If they thought there was even a glimmer of a chance, they would have brought impeachment charges against President Obama their hatred was so obviously visceral. They seethed with disgust. They thought they were sophisticated and it did not show, but we could see it on plain display in their every word dripping with bile. Their ridicules in private, we heard as some could not hide their feelings and shared the poisons spoken by their friends in their smoke-filled rooms where the money passes hands to make the decisions against the will of the people. The same way the money passed hands and the fix was put in to deny Hillary her prize, her due of the Presidency because they simply hate. Now we are protesting using legal demonstrations and they are hyperventilating over these displays of popularist emotions. We are in the streets giving display to the feelings of the majority of Americans that there is an unfit lunatic now representing our once proud nation. For the past eight years Americans could hold their heads high as we were represented by grace, charm and intelligence and now we cringe at every display of raw idiocy and hate pouring from the centers of power in the White House. His Twitter posts are an embarrassment which apparently nobody on his staff is capable of reeling Trump in and getting Trump under any control whatsoever. Even typing his name is difficult but we are liberals and thus we are the polite and wonderful people who are really trying to be accepting, but you make it so difficult. We understand when you ask how could we nominate Hillary, but what is your excuse, Trump? I mean like really? And conservatives ask why the left is out protesting. Can you actually have any doubt as to why with Trump in the White House? Then there are the claims of violence when obviously the violence is being orchestrated from those shady backroom deals with the cigar smoke and the bourbon whiskey glasses ringing as you toast the brilliance of sending ninjas to discredit the throngs of peaceful protesters. Our protesters would never partake of such violence and have you noticed that the stores they attack are all owned by our supporters such as Starbucks etc. Why would these thugs have been attacking our friends? These are obviously hateful extreme right wing agitators using rioting in order to discredit lawful and righteous demonstrations against this thug and illegitimate usurper sitting in Hillary’s Oval Office. But let us set your minds at ease. We are not interested in a revolution or any other improper forceful reaction as we are law-abiding citizens who love our nation. What we desire is for our rightful government to be returned to the rightful majority of citizens who elected the true President of the United States, Hillary Clinton, the only correct President who was chosen by the majority of all the people. You know the Electoral College is an archaic invention of white slave owners simply to protect their white privilege and position of wealthy land owners and the elitists of society. They invented the Electoral College as a tool for the propagation of their rule while giving the people a feeling of voting rights and power. It was invented to give a visage of fairness while preserving the rule of the White wealthy class and their proper place ruling over the lesser peoples. We understand that you have fudged the system because it failed to prevent the election of a President who was not of the White privileged class and you have worked the system to assure that no minority ever makes it into the White House again. That is why the majority of Americans have been dispossessed by your Electoral College and you have usurped power placing a buffoon into power as he is really under your control while giving the image of an uncontrollable child on a temper tantrum. We are not fooled and we will prevent your oppressive white privileged power play to forever change the America we love and the America we have worked so hard and long to bring into the world of nations and to give all the people the right to power. And this has been the tone of all too many leftist news and internet locations and outlet since Election Day. Now for a more centered look and our regular readers can breathe easier, we have not gone over to the dark side of the farce. The left believed the media predictions after the resounding reelection of President Obama and did not notice their losses in virtually every other level of governance from the local dog catcher to governors to Congress and virtually everywhere with the once glaring exception, the major cities. There, where these leftists live among the more normal liberals who are just as much victims to the leftist hijacking of their Democrat Party as the nation is to their destructive members of “The Revolution” being waged across the cities and university campuses. Do not be fooled, they mean revolution and are fully intending to do whatever it may take to install their idea of a perfect governance, fascist leftist government where conservatives are kept subordinate and their leadership sent off to the reeducation camps. While the rest of the United States have been struggling with a lethargic economy and elevated unemployment while the level of workforce participation became more a measurement of workfarce participation with ever more people, largely millennials, finding there no entry level positions and the job market all but closed to them despite having college degrees in the social sciences which they had been assured were highly valued. There are those surprised that their major of Late Fourteenth Century German Love Sonnets does not actually qualify them for any position outside teaching Late Fourteenth Century German Love Sonnets, of which there are almost three dozen positions in the world. Now they are angry and when they were sold that Hillary Clinton would remedy this situation and when she lost they lost it. Some were caught up in the movement which has offered them a new solution, taking the power they lack. There is a problem which the conservatives have foolishly believed will work itself out as these demonstrators get tired and lose interest and return to whatever occupied their time previously. Were these regular people with regular jobs, the demonstrations and the riots would have already dwindled out as have previous such demonstrations. Perhaps we can remind people of the former renditions of what we are seeing. There had been the Occupy Wall Street and the Other 99% otherwise called the Anti 1 Percenters and then all the way over in Israel, the Cottage Cheese Demonstrations which were thankfully ended by that demand to return to classes when the university classes resumed. All of these demonstrations started and continued through mid and late summers as there were large numbers of unemployed and bored college students and an equal number of easily amused high school students who would come and protest during the day and return to their suburban homes red-eyed each night. The attraction of free drink and drugs proved irresistible to these kids and their parents seemed oblivious to their activities or possible a calm supportive feeling that this was simply a phase. Well, now there are groups with paid full-time organizers and often seed moneys to be spread to those who are capable of bringing with them additional bodies to swell the ranks. These riots and the demonstrations within which they are being couched are not about to die down and their anger is palpable. They mean revolution or at least their leaders and the moneyed interests fueling these actions believe. The police being told to stand off and allow the rioters as well as the demonstrators free ranging freedoms is intended to simply allow the demonstrations to grow and for larger and larger groups to cross over from the demonstrations to the rioting and joining the black clad ninja warriors of the left. This is the beginning of a revolution and there is only one meaningful means of bringing it to an end. This is where the good news arises and President Donald Trump may just be the antidote. The one thing which will rob these demonstrations and thus the rioting of numbers would be a thriving economy which is why we will witness these demonstrations attempt to do whatever is required to prevent a return to prosperity, at least in and around the major cities. There will be efforts to destroy any growth of the economy in the cities with the intention of causing economic collapse of the cities and soon thereafter the suburbs as well hoping to collapse the job market and building the discontent. This is being orchestrated in order to well the ranks of those who are unemployed, underemployed and dispossessed in the society and thus the disenchanted willing to join “The Revolution” allowing for a potential real revolution. When the point is finally reached that the cities are starting to be burned by the rioters and the White House has to act and send in National Guard to quell the violence we will hear the screams of fascism. What is so ridiculously pathetic is that those who want a revolution are intent on installing an actual fascist governance which suspends elections with them never to return in the lifetimes of the cheering throngs thinking they have won not realizing what they have borne. Trump will not only not be remaining in office one second longer than elected, he may desire getting out of the hot seat after a single term and who could blame him. Even if he is not as wealthy as he claims, he still earns more than the Presidential salary he would be receiving if he were not giving it to charity. Trump has no desire to be king despite the accusations coming from the left. He simply may be a victim of his campaign’s success and counting the days until he is a free man again or he might be bathing in the believed admirations he thinks he is receiving, either way he will leave once his time is done. With any luck he will be able to jumpstart the American economic engine which has been fuel starved for the past decade and to release the horses that charge the money flow from their strangling regulations allowing them to run free and spread wealth in their wake. The American economy is likely just waiting to be permitted to jump at the opportunities if only permitted unfettered access to the drivers of economic freedom. This is job one just as Trump claimed during the campaign and the faster the regulational drawback and the release of the investment cycle through tax rate adjustments permitting for the easy movement of monies from investment to investment and across different means of entrepreneurial enterprises, the faster the jobs will multiply and the sooner there will be more jobs than people to fill them. This will allow for a healthy new immigration system streamlined benefiting the needs of the nation to bring in the people required to even further enhance the capital investment cycles and increased profit margins, the best means of a healthy economy. These increases will result in greater funds and possibly ending the yearly debt cycle which has strangled the United States and doubled the debt over the last decade. The future is full of hope providing that President Trump’s team are prudent and allow for an untethered economic environment and a return to American exceptionalism which will serve not only the United States but hopefully serve as an example which the rest of the industrialized world will follow, though Europe may be mired in their own sorry history and bad choices of late. 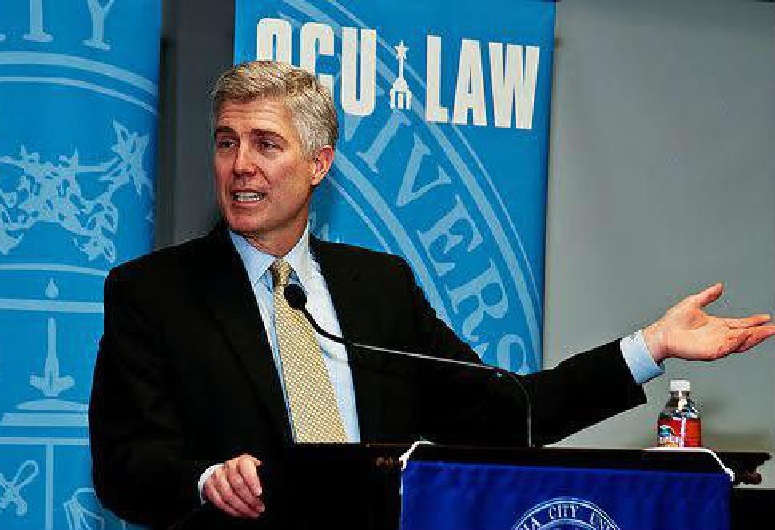 The first and foremost thing the public and the world need to know about Judge Neil Gorsuch, back in 2006 he was confirmed by the Senate without recorded opposition. Not a single Senator found reason to raise even a single doubt about his decency and qualifications to serve as a Judge on the United States Court of Appeals for the Tenth Circuit in Denver, Colorado. Imagine this, House Minority Leader Nancy Pelosi had nary a complaint about confirming Judge Gorsuch and now claims he is, “very hostile appointment” and “well outside the mainstream of American legal thought.” At a CNN town hall gathering Minority Leader Pelosi further criticized Judge Gorsuch stating, “If you breathe air, drink water, eat food, take medicine or in any other way, interact with the courts, this is a very bad decision.” How in eleven years did Judge Neil Gorsuch somehow went from perfectly adequate and even unobjectionable when appointed by President George W. Bush, not exactly somebody on fantastic relations with Minority Leader Pelosi and often criticized quite severely by her, to be a Judge for the Court of Appeals for the Tenth Circuit and now is the spawn of all evils. What a transformation from unobjectionable to threat to the continuation of humanity “If you breathe air, drink water, eat food, take medicine or in any other way, interact with the courts…” What a transformation, or was the Democrats who have changed in the ensuing eleven years? We are wondering when they will get to commenting he enjoys murdering innocent fish as he enjoys fly fishing. Then there is his making long tracks in virgin snow when he gets a chance because he skis. He refused to sleep nights in Howard Johnsons Inns, well, because he worked as the overnight desk clerk. We could not think of a related evil but are awaiting the Democrat blame gamers to find fault with the fact he raises horses and goats and chickens on his Colorado farm. The Democrats have claimed they will stop at nothing to prevent Judge Gorsuch from taking the ninth seat on the Supreme Court. Some claim that until there is a President who received a majority of the popular vote the Senate should not permit any new Supreme Court appointees to be placed on the bench. The Democrats have already warned of a war in the media should the Republicans do as Harry Reid did to get judges approved over any Republican filibuster and use the same filibuster busting majority vote being sufficient for cloture in Presidential appointments. Apparently what is good for the Democrat Goose is not to be allowed for the Republican gander. It is another case of do as we say, not as we do for the Democrats and the mainstream media may also jump in on the act for attempting to deny the Republicans any comfort copying the Democrat play manual. The fight over Betsy DeVos as Secretary of Education has been a fight done well in service of the Teacher Unions with a full time assist of the media. Betsy DeVos’ main crime was being educated in private schools and realizing that the private schools outperform the public institutionalized education system. 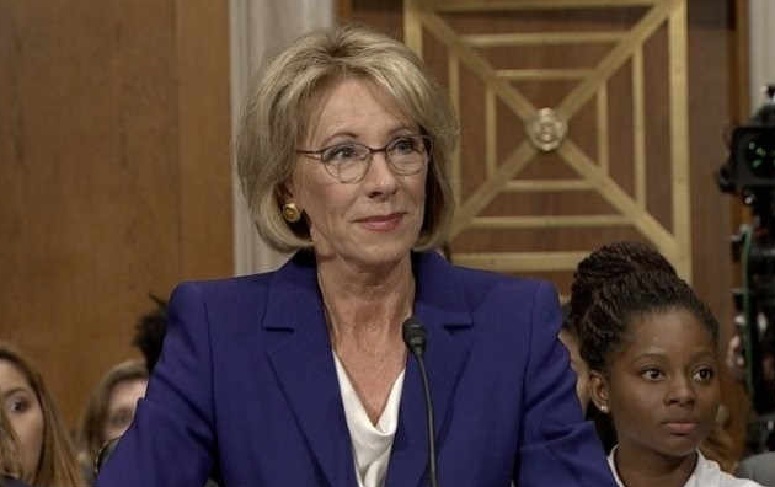 You see, Betsy DeVos has been an advocate for private schools, parochial schools, charter schools such as the Success Academy Schools and the chain of the KIPP (Knowledge Is Power Program) Schools for most of her professional life. Should the Department of Education begin to make parental choice more readily available for inner city and other parents through voucher systems or money follows the student programs, then the public schools might lose students to higher performing schools and perhaps even bring the entire public school systems to their knees making them shape up or be replaced by these more successful schools. Imagine if every student carried with them a dollar outlay equal to three quarters of what the public schools in their area spend per student. How long before schools with far better results start cropping up and accepting students for this lesser amount. The local government saves money and parents get to choose where and with what emphasis their children are educated. Schools will start offering specialized courses where students can be taught a trade as well as receiving a decent basic education. The department of education could become a clearing house for information rather than an actual education provider. Schools will still need to produce quality student outcomes as the parents will not place their children in under performing schools thus eliminating the schools which do not produce well educated students. This could spell the end of the public school systems as we know them or perhaps these schools will actually find ways of weeding out poor performing teachers and a more conducive manner of teaching their students. Perhaps the education system could benefit from an overhaul where those schools which produce the best students receive the most students and succeed while poorly performing schools lose students and quickly falter and are replaced. Apparently Betsy DeVos’s error of her ways is believing that schools should produce quality educations over teacher job guarantees, what a novel concept. If this becomes the standard for all government products perhaps it would be an improvement worth giving its shot. Would we be happy should the military not produce the best qualified fighting force and instead simply offer guaranteed careers for officers no matter their ability to perform their duties? We would never accept incompetence from the military any more than we would frequent a restaurant which delivered poorly prepared meals. Restaurants are not in business to guarantee the chef a job once they have worked there for two years even if they do not learn new offerings as times change. It becomes keep up or shut up and hit the road. Hospitals would not keep a surgeon who refuses to learn new techniques and allow him to use older procedures just out of loyalty, they demand that physicians learn and keep up with the times or retire. 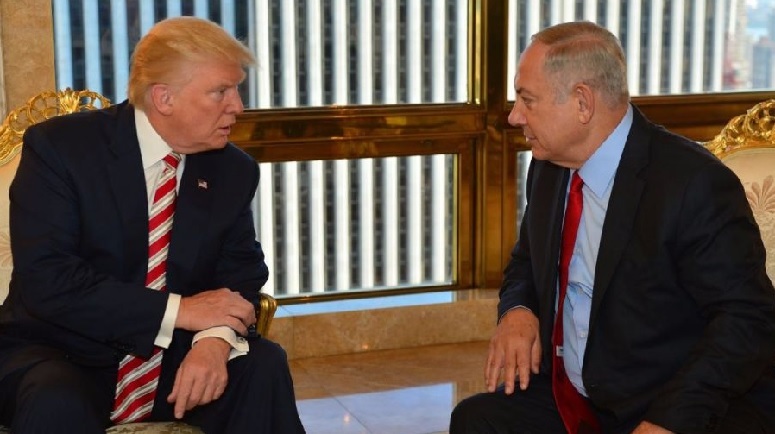 Government should operate under similar means and perhaps that could be something that Donald Trump could introduce and the United States be all the better for such. We will see and let us all hope that such is in store. Improving government services should be job one of the President and all of the many different Congresscritters. Unfortunately, this has not been the standard procedure, so perhaps bringing in Steve Bannon to shake things up a little is an idea whose time has factually been a long time coming. 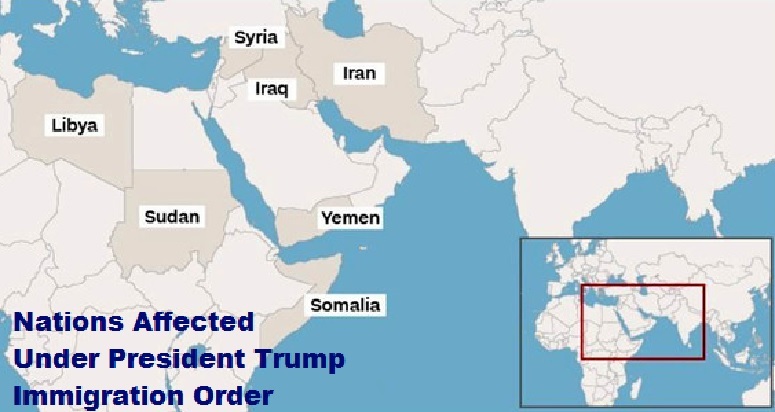 Trump excluded minorities from the immigration temporary ban, which might surprise many as to the numbers and different minorities exist throughout these seven nations listed in President Trump’s order, Iraq, Syria, Iran, Iraq, Libya, Sudan and Somalia. Perhaps we should start with a quick reference of the population of each of the nations in question. So, on with the show. Iraq consists mostly of differing tribes such as Kurds (some being Muslims), Bedouins (some being Muslims), Feylis, Yazidis, Shabaks, Kaka’is, Armenians, Circassians, Persians, Mandaeans, Sabians, Bahá’ís and Doms. The minority religious makeup is Christianity accounting for 0.8% of the population while the rest practice Mandaeism, Yazidism, Zoroastrianism, a minor smattering of Jews who remaining in Iraq and other religions. Iraq is on the verge of failing as a governance as the Sunni central zones and the Shia majority in the south are in conflict and the Kurdish north has allied with the Kurds of Syria but are being targeted by the Turkish forces which cross into the nation claiming to attack terrorist groups when in reality they assist terrorists against Assad and more so against the Kurds. If the Kurdish areas from the Syrian northeast, the northern areas of Iraq and the Kurdish regions in northwest Iran were united, they could form the promised nation of Kurdistan and take in any Kurds wishing to relocate from Turkey thus removing the perceived threat by Kurds to Turkey and potentially ending the bloodshed. Syria also has a number of tribal minorities including Kurds, Armenians, Turkman, Aramaic Assyrian, Chaldean, Yazidi, Druze, Syriacs with religious minorities numbering Christian 10% which includes Greek Orthodox, Greek Christian, Latin Catholics, Protestants, Maronites, Uniate, and Nestorian as well as Druze 3% and a minor smattering of Jews who remain in Syria. The war in Syria has more sides than a set of dice and the nation has no operative governance and has completely failed as a nation. Iran also has a sizeable Kurdish minority (10%) many of which are Muslim but likely not banned by President Trump’s order. Turkmans Balochs and Arabs make up two percent of the population each while sixty percent of the population being of Persian extraction Azeris making up most of the remaining population at sixteen percent. Iran has a tiny minority of non-Muslims totaling less than one percent of the population consisting of a mix of Christian, Jewish, and Zoroastrian. Iran is probably the most stable country in governance but qualifies for the list as the largest state funder of terrorism worldwide. Libya is a mix of mostly Muslims tribes mostly ruled by their strongest clan with each tribe warring with their neighboring tribe. The violence between the many tribal factions even made terrorist training camps unsafe to such a point that many packed up and left for safer climes. The situation has only worsened progressing from bad to worse after the dethroning of Muammar Gaddafi leaving a central government barely able to rule the capital of Tripoli. The uncertainty of the entire region was made evident with the murder of United States Ambassador Chris Stevens as well as his aide Sean Smith along with former Navy Seals Glen Doherty and Tyrone Woods who both went down fighting throughout the night finally succumbing to mortar fire from al-Qaeda terror groups who were seeking to gather as many MANPAD anti-aircraft weapons, the same weapons which the Americans who were murdered were attempting to intercept and send on to Syria to assist the American backed Syrian rebels. Sudan has a small Christian population consisting of Nubian Coptic, Coptic Orthodox and other groups of Christians in the Nuba Mountains who have declared their area to be a new nation recognized as South Sudan, Animists of several roots and persuasions. Like Yemen the Sudan and South Sudan are warring as the Muslims from the Sudan, the northern half, are trying to unify the breakaway nation which is largely Christian and Animist. There have been too many genocidal assaults against the South Sudan and the nation is in turmoil with the South most resembling a failed state. Yemen once had a sizeable Jewish population but the Jews are now mostly held in a government compound for their protection as otherwise they would rapidly become an endangered species, its Christians are divided into Roman Catholic, Anglican, Ethiopian Orthodox and Tewahedo, and there exists a smattering of Hindus. The real problem with Yemen stems largely from it being engaged in a civil war with the sides being aided by outside national forces. The Houthi tribes are being supplied, trained and even assisted by Iran while the former government and Sunnis are receiving aid from Saudi Arabia. Yemen has all the signs of a failed state. Somalia is predominantly Islamic and tribal with a small minority of Christian and traditional Animists who reside in the south. Somalia has been without any measurable governance for the last few decades with tribal warfare and piracy being rampant across much of the nation with no reasonable end in sight. Somalia probably qualified well ahead of the rest, but how would we know. Many of these minorities are persecuted by the Islamic majority governments spending much of their lives in a sort of hiding keeping a low profile. Often ministering to these minorities is a life threatening career as they are a central target whenever the government seeks a distraction or a group to blame. This position is often filled by Israel but these minority populations are target one when something closer to home is required. Ignoring this exception or attempting to make it appear as if it was only about religion is inaccurate as the Kurdish and Bedouin tribes are often largely Islamic. The President’s order was not about Muslims as much as it was about terrorism which was likely the same reason that Presidents Obama and Bush also named these same nations for additional precautions during their administrations. But why lay everything out in the open when there is a new President to smear. Yes, Trump brought this on himself and deserves much of the scorn being heaped upon him but the media also deserves some truth serum as they pretend such limitations on immigrations have never existed before. Remember that there are a small number of those who would be permitted entry into the United States who are Jews. This stands in stark contrast to during World War II when despite the State Department and President Franklin Delano Roosevelt knowing about the extermination camps and the Final Solution to eliminate Jews, Homosexuals, Roma and other “undesirables” that FDR refused to permit Jews attempting to escape the advancing Nazis to enter the United States while the British refused them entry to the areas under the British Mandate. FDR is rumored to have stated that the United States did not need any more than a minority of Jews and he feared permitting additional Jews into the United States. At least this time the Jews will be permitted to escape potential persecution should they so choose. There will also be numerous Islamic minority peoples who also will be permitted entry along with Christians and Animists among others. And for the record, Islam is not a race and encompasses membership from virtually if not every racial group on Earth.